NASA scientists predict they are within 20 years of finding the evidence proving we are not alone in the universe. Dr Sara Seager and Matt Mountain were two of the distinguished scientists, former astronauts and engineers brought together by NASA. They say scientific advances in rocket technology and space telescopes will soon make it possible to scan the heavens for the tell-tale signs of life on a planet not unlike our own, their so-called Earth 2.0. “We believe we’re very, very close in terms of technology and science and actually finding the other Earth and our chance to find signs of life on another world,” Dr Seager said. Dr Mountain is from the Space Telescope Science Institute which is collaborating with NASA to launch the most powerful device yet to explore the universe – the James Webb Space Telescope, due to be launched in 2018. But NASA believes that within the next two decades it will have the capability to peer into deep space for signatures of life. 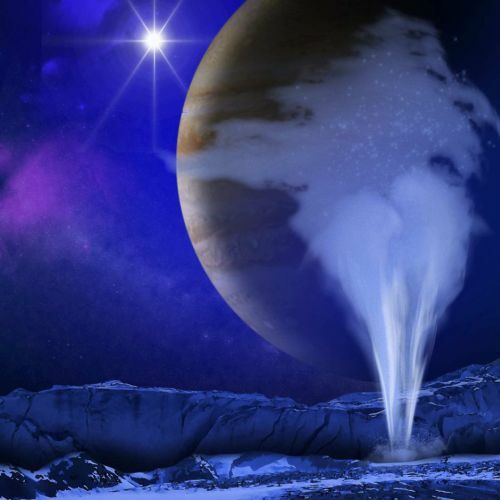 NASA is also making plans to send an unmanned probe to one of Jupiter’s moons Europa, where oceans of water are believed to lie below its surface, theoretically capable of supporting life. 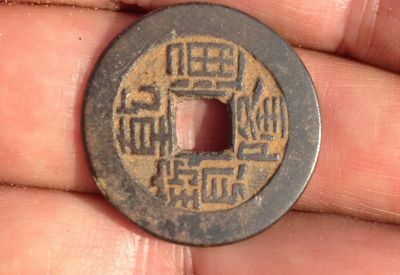 Five copper coins and a nearly 70-year-old map with an ”X” might lead to a discovery that could rewrite Australia’s history. >Australian scientist Ian McIntosh, currently Professor of Anthropology at Indiana University in the US, plans an expedition in July that has stirred up the archaeological community. He didn’t have a clue where they could come from but pocketed them anyway and later placed them in a tin. In 1979 he rediscovered his ”treasure” and decided to send the coins to a museum to get them identified. The coins proved to be 1000 years old.Still not fully realising what treasure he held in his hands, he marked an old colleague’s map with an ”X” to remember where he had found them. The discovery was apparently forgotten again until anthropologist McIntosh got the ball rolling a few months ago. The coins raise many important questions: How did 1000-year-old coins end up on a remote beach on an island off the northern coast of Australia? Did explorers from distant lands arrive on Australian shores way before James Cook claimed it for the British throne in 1770? We do know already that Captain Cook wasn’t the first white seafarer to step on Australia’s shores. Read more exploration of the ancient history of Australia prior to arrival of the First Fleet. “We have successfully ascended through 2 dimensional shifts. 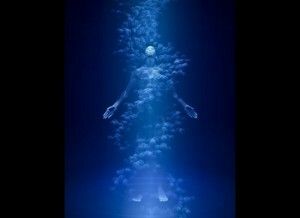 We moved up the Spiral of Evolution from the 3rd Dimension through the 4th and into the initial frequencies of the 5th. This was a unique experiment that had never been attempted in any system of worlds. 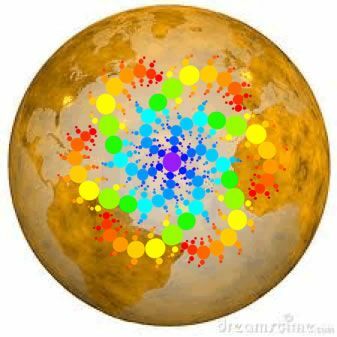 Never had a planet that had fallen to the depths of separation and duality the Earth was experiencing been given the opportunity to move through 2 dimensional shifts in such a short period of time. We’re not alone. Our destiny, in my opinion, and we might as well get started with it, is to become a part of the planetary community. We should be ready to reach out beyond our planet and beyond our solar system to find out what is really going on out there. The universe that we live in is much more wondrous, exciting, complex and far-reaching than we were ever able to know up to this point in time. You may peruse the “Milestones” of postings to the 5th World here. August 11, 2001, was a very rainy night in Wiltshire, England. During the available 409 minutes of darkness, Doug and Dave, two old geezers from the pub, snuck into Milk Hill field with boards and ropes and mashed down 409 perfect circles, each a prime number of inches in diameter. One circle per minute, all night long. In the rain and the wind. In the pitch blackness. Without lights. Without making a mistake. Without being observed. Without breaking any stems. Without leaving a single footprint or getting the crop muddy. Each circle was perfectly placed so as to make the overall picture look like a counter-clockwise swirling galaxy, and the formation was over three football fields wide. Yes, it is an unbelievable story, but that is because it is not true. The formation wasn’t hoaxed by Doug and Dave, but the “authorities” would like you to think so. We hope you were not taken in by the “official” hoax. Many people were. Each of the six symmetric arms in the Milk Hill formation of 8/11/2001 contained 13 perfect circles and in numerology 13 means transformation. The 409 circles in the formation add up to a 13 (4+0+9). The date of its formation was also a 13 (8+1+1+2+0+0+1). Fewer than 10% of all crop formations feature the number 13 as a theme. 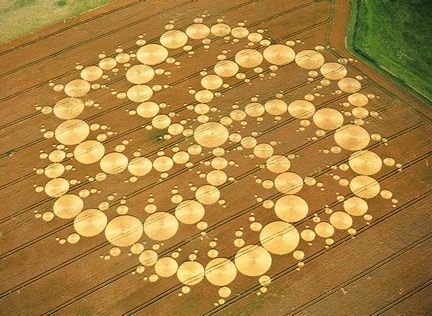 Fewer than 10% of all crop formations contain a circle count that is numerologically 13. Fewer than 10% of all crop formations occur on a date that is numerologically 13. How often will a random crop formation have all three aspects? 10% of 10% of 10%, or 0.1%. Events that occur less than 1% of the time and yet did occur are statistically very significant. The 8/11/2001 Milk Hill formation thus is very significant, i.e., it was not a random event. It was created intentionally, with thoughtful design and purpose. A dowsing pendulum held over a bottle of water energised by this formation will spin counter-clockwise, the direction of the subtle energetic spin within the original Milk Hill formation, when viewed from above. A single drop of this water induces a counter-clockwise subtle-energy spin in any other water it is placed in. A single drop keeps a hot tub clear and clean for months without chemicals. (Interestingly, an experiment using water spun clockwise did not keep the water clean for more than 3 weeks.) Drops of this swirling water have been placed in the surface waters of 27 nations to help clean the Earth’s waters and lift our planetary energy. Through long years of study we have concluded that this formation was an otherworldly gift intended to gently transform the human race. The design that evolved from the 2001 Milk Hill formation is now known as the Global Healing Mandala. Steven and Evan Strong write of the three strands of human development. One such strand was “The Little People”. Raminjeri Elder Karno Walker, told Steven and Evan Strong that there are three types of Original people. Consistent to the recurring sacred pattern of three, only one of these Homo sapiens sapiens – the gracile strand – descends from a cross between hominid and Pleiadean genes, while the other two types of human carry within them genes that come from elsewhere in the stars. We suspect that the other two groups of Original humans Karno spoke of refer to the smaller and taller species. The whereabouts and existence of smaller Original tribes standing just above and below one metre in height are well documented and photographed. One group of just over 50 little people, called the Dhimlani, were massacred near the Gold Coast in the mid-1800s, and another tribe of over 150 little people living near Cairns (QLD), called the Barrineans, were photographed in 1938. Two months later it is said they despaired of the new imported ways and walked off into the dense rainforest never to be seen again, or so the story goes. Being mystics, masters of camouflage and considered extremely wise by the more numerous gracile Original tribes, they may be out of sight but. Every Original tribe we know of have stories and names given to these little people (brown-jacks, bittars, etc). We once lived on a farm near Nimbin NSW, which is a mispronunciation of the Original word Nimbinja, which means “place of the little hairy people”. Dreaming stories share a common tale of little people with bulging stomachs, copious body hair, a distinctive smell and real fondness (not in a subversive way) for the children of the gracile people. They are prone to ‘kidnap’ young children, play with them for two or three days, then return them none the worse for wear – except reeking of the pungent odour of which the bittars are renowned. Stories of the bittars’ predisposition to seek out the young appear in both Dreaming stories and a very recent account from near Lismore NSW, where three Original children were ‘abducted’, played with and returned three days later. We ourselves have seen “The Little People” and recommend this article to you for your reading. The Gauls used boomerangs 2,000 years ago, according to archaeologists who have found a wooden curved stick on a beach in the northern French town of Cotentin. Boomerangs are usually associated with Australian aborigines but these amazing wooden weapons have been found in Egypt, apparently dating back 2,000 years, and in Europe – the oldest one, which was found in a cave in Poland, being 30,000 years old. They were apparently toys but now archaeologists have found what sems to be a 2,000-year-old boomerang on the beach at Cotentin and it was not used for play, Le Monde newspaper reports. The stick doesn’t come back when you throw it, the archaeologists said, it was used as a weapon, to hunt. The ancient Gauls probably used these boomerangs to hunt seagulls, the archaeologists believe. The wooden stick they found, the only one so far, is made from the wood of an apple or pear tree. Boomerangs are still made from these high-quality woods. The Gallic stick dates from 120 to 80 years before Christ, nearly 30 years before the Roman conquest of Gaul. It weighs 150 grams and can be thrown 50 metres distance. The flying weapon was found in an old ditch in a harbour facing across the Channel to England, located near the modern town of La Hague. 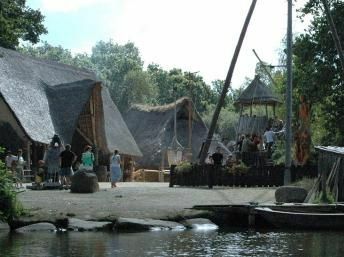 The archaeologists said that this discovery at the Urville-Nacqueville beach also means that a harbour that would have conducted cross-channel trade existed at the time. World’s First Computer in Mediterranean? Sometime in the early first century BC, a ship went down in the Mediterranean Sea, just off a Greek island named Antikythera. The wreck itself wasn’t unusual. The island was surrounded by jagged rocks, which likely caused many a boat to disappear back then. 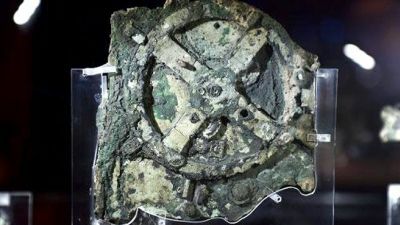 The boat contained a trove of statues, jewellery, and most notably what some scholars believe to be the earliest computer known to man. This month, with the help of a technologically advanced underwater suit that makes the wearer resemble Iron Man, archaeologist Dr. Brendan Foley will lead a team to do one final excavation of the site. He hopes to find yet another ancient computer, along with details that will help historians finally identify who its owner was all those years ago – a question that may shape how we view the birth of civilised technology. Read more about the Mysteries of the Mediterranean and the search for the world’s first computer. 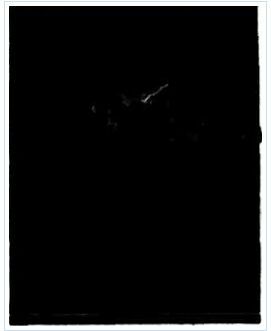 “From the Rockhampton newspaper the Morning Bulletin of Wednesday 21 October 1931, various independent observers reported a curious sky phenomenon in the Winton district. One described “a strange trail of light, seen in the western sky between 6.30 and 7 pm, on Saturday evening, October 17th. When first seen, this trail of light was shaped like a capital “T” or a figure “7,” then it changed into a long wavy line like a great serpent. Much brighter and bigger at the lower end. It stayed in the sky about twenty minutes and then suddenly disappeared.” The correspondent sent two photos with time exposures of one minute, taken at 6.45 pm. Only one photo was carried in the paper (reproduced here). 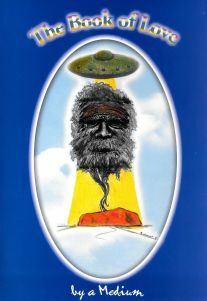 You can read more about the mysterious snake in the sky at Winton, and read more of Bill Chalkers investigations into Historical UFO appearances in Australia, along with his reflections on the Burke and Wills expedition. Read more here. Located one hundred kilometres north of Sydney in the tranquil setting of National Park Forrest, exists over 300 ancient hieroglyphic carvings in the local sandstone. The carvings are located between two flat sandstone walls approximately four meters high with a walkway in between that is just over 1 meter wide. 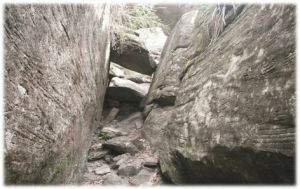 Well concealed, it is accessible only by a small chute from above or below the chasm. Sightings of the mysterious carvings are recorded as far back as the early 1900’s. Much controversy has taken place over the years as to their authenticity. Many have claimed them to be a hoax, an apparent prank orchestrated by a group of NSW University students. Some say an ex World War veteran carved them after returning home from service in Egypt. The glyphs are concealed in bush, and accessible only through a small rock chute at a distance of over 1 kilometre from the park’s entrance. The symbols are carved into the sandstone up to 4.5 meters in height. If they are modern day forgeries, it would entail carrying a ladder or scaffold this distance into the bush, manoeuvring it through the small entrance to access the rock face. Read more and view photographs comparing recent images with those taken by Prof. Hans-Dieter von Senff. 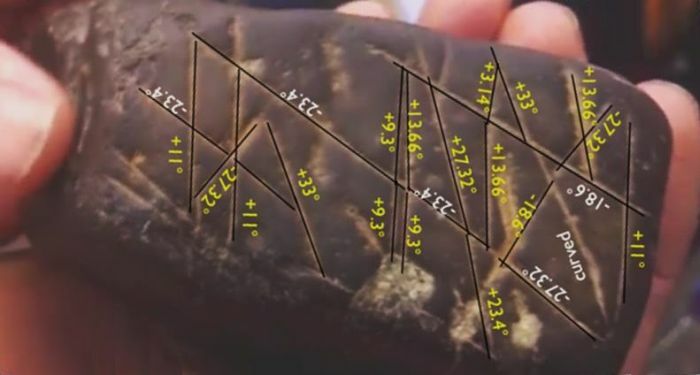 Is Unexplained Rock Carving Evidence of Advanced Ancient Technology? The only thing that can be definitely said about this rock is that it has “properties” for which our resident expert has “no close match”. With no possibility of an official verdict, the rock is at least no less than a geological anomaly, and we have no doubt much more than that. Without going into details, we suspect this rock’s history and destiny sits outside the pages of any book. But that will be shown in the near future. Valerie Barrow I was lucky enough to hold the stone, briefly, and a strong buzzing feeling stayed with me. I felt slightly off balance when walking and the feeling stayed with me until the next day. My Spirit Mentor spoke to me and said it was from the stars. It held the consciousness of ‘Alcheringa the creator spirit‘ who is well known to the Australian indigenous people. It is very old and was well known to the original Australian Aborigines in the past. To them it was known as an Alcheringa Stone – from the stars and held a message. I would like to sit holding it for a longer time to see what else it can tell me. In western terms you could call it a ‘Wake-up Stone’ when held by the whiteman – it helps integration with one’s soul consciousness. Read more about this ancient rock and ancient technology. 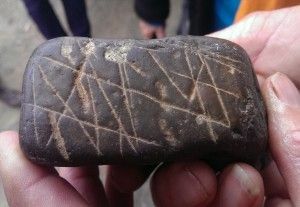 Earlier this year, it was “alleged” that an ancient city had been found nearby Alice Springs in the Australian desert. This was accompanied by a photograph suggestive of an archaeological dig. We have given our time, love and resources, along with fulsome support of others engaged in the excavation of truth, the truth of the history of humanity on this planet. 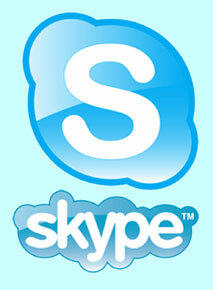 Many of our articles, many of our newsletters attest to an ongoing search, a search we do with love. We do this search confident that we are being guided by our Spirit Mentors, the Atlantean Jalarm, Alcheringa – the oversighting aboriginal ancestor of this land, and Cosmic Sai Baba in all his different names and forms. We are most grateful for the love, support and guidance of our Spirit Mentors as they take us forward in service to humanity in uncovering the origins of man on this little place we call our home. We have learned that everything this is here has come from somewhere else – it was all brought here. We have learned that there are those – other life forms – who know the Creative Source of All, and work in tandem with and in service of the Creative Source of All. We have also learned that there are other life forms that do not know of the Creative Source of All and do not possess the enChristed Crystal Light within. The Creative Source of All has been most emphatic that all are Children of the Universe, have a single origin and a single Source – and all are on a journey home to that Source. It is a pity to see others mock the history of our planet and mislead others on the quest for the origins of man. At least they are redeemed by admitting they use fictitious material and all material on their site is purely fiction. More than One Human Species? 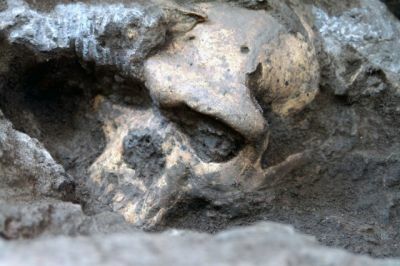 The Dmanisi sample is now composed of five crania, and shows direct evidence for wide variation within the early Homo populations – but crucially, within the same species. This variation within the Homo populations is similar to that seen within modern Pan (chimpanzee) groups. You can read more about the investigations of the palaeoanthropologists here. The Zeta Message is a powerful non-fiction account of author Judy Carroll’s lifelong contact with the gray extraterrestrials known as “Zeta Reticulans”. It provides a detailed description of an average Australian family who, in the year 2000, suddenly found themselves caught up in full-on and seemingly frightening contact involving flashing lights, black-clad figures appearing in bedrooms in the middle of the night and children waking screaming in terror. Introduced by a mutual friend, Judy assisted this family to open up to deeper levels of understanding and conscious awareness as the fear barrier was gradually broken down to reveal incredible depths of love and wisdom. 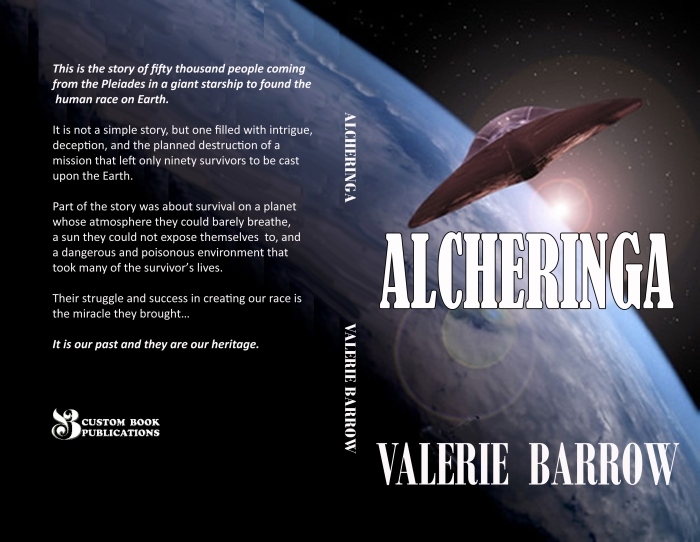 This book is excitingly different in that, for the first time, answers and explanations are given on the true meaning behind the alien “abduction” scenario, and its implications for the future of Planet Earth and her people. 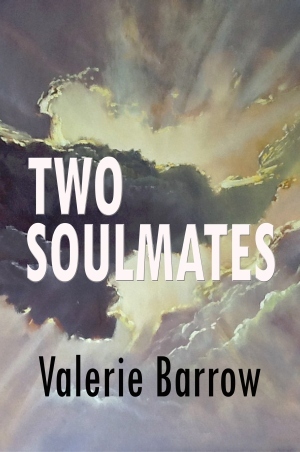 Valerie has recently met Judy and is impressed with her personal writings of remembering being one of the ‘Greys’ that crashed at Roswell in 1947. She is back in a human container to tell of their real mission and how they are here only to help the Human Race. An important and knowledgeable read indeed. You can read more about Judy Carroll’s books here. Cosmic Sai Baba has shared with us in his recent transmissions that the “apparent” chaos on Earth is only temporary, and that all will be living – and experiencing – the Golden Age shortly. 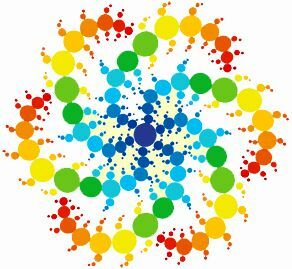 In fact, we actually create our own “interior universe” … and we may “tune into” the 4th and 5th Dimensions if we so choose. Such will help the Earth at this point in time, as others move on to deal with a dreadful ideology with bombs. The Creative Source of All has promised us again, again and again …that the time is very near when no nation will lift up weapon against another nation to settle their differences. Those who are at loggerheads will sit down and discuss their differences and resolve matters amicably, for the good of the all. “For the good of the All is a critical advice and clue from the Hierarchy. Each and every time we do this in our daily life, we contribute to world peace and make our home a better place to live in. There is a tapestry of ill-will and bad feeling surrounding the Earth which is diminished every time we act with love, good intentions and share light around to each other. While things from time to time are distressing on the surface, all is part of bringing humanity back into the peace and harmony lost when Earth Fell, in the Fall of Atlantis. Please join me in prayers for the well-being of all on our home, Planet Earth. The best time for prayers – singly or in groups – is on the occasion of Full Moon, of October 8th.